When someone mentions the concept ‘capitalism’, what do you think? Is it only made up of markets or the private ownership of the means of production? Is it a system where state involvement is preferably less? Where do you locate labour in a capitalist system? Is capitalism only based on individual motivation, or is there a role for social relations and social hierarchies? What is the role of legal infrastructure and the State in a capitalist system? These are the overarching questions that readers will find answers to in Geoffrey M. Hodgson’s Conceptualizing Capitalism: Institutions, Evolution, Future. The book visits almost all dimensions of capitalism as we may think of it from employment, labour, firms, finance and property to the aspects that arguably constitute the core of this ground-breaking book: the role of the State and law. To start with the concept of capitalism Hodgson presents, he first visits Karl Marx’s and Joseph Schumpeter’s definitions. For Hodgson, both agree on certain characteristics of capitalism. First, a legal system should support individual freedom and provide free rights to own, sell and alienate private property. Second, there should be commodity exchange and markets that depend on the social institution of money. Third, private ownership of the means of production by firms that are seeking profit in the conduct of business is required. Fourth, the majority of production should be outside the home and the family. Since Marx is labour- and employment-oriented in his analysis of capitalism, Hodgson borrows wage labour and employment contracts from him. From Schumpeter, he takes the necessary condition of finance and financial institutions that enable the allocation of credit and the circulation of money in the economy. Consequently, for Hodgson capitalism relies on six characteristics: a legal system allowing individual rights and freedom, widespread commodity exchange and markets where money is involved in exchange, private ownership of the means of production, production organised outside the household, wage labour and employment contracts and a developed financial system (259). Perhaps the most important achievement of the book is that Hodgson highlights the role of law and the State in the proper functioning of capitalism as he introduces legal institutionalism, which locates legal infrastructure at the core of the capitalist system. In order to have a proper functioning capitalist system, we need a solid legal infrastructure, which depends on legislators and the State as the overarching institution that is capable of passing laws and implementing them. In comparison to other institutionalisms that locate path dependency (historical institutionalism), rational choice and utility-maximisation (rational choice institutionalism) or social and/or organisational dimensions (social institutionalism) at the core of their analyses, Hodgson argues that the legal dimension should be central since legal infrastructure determines how firms and individuals can operate in the market and how we exchange property rights as law attributes the eligibility to own certain types of properties. While Hodgson has a legal-orientated understanding of institutional analysis, he also observes that legal systems do not emerge by themselves; rather, they are the product of previous disputes and how they were resolved. As these are resolved, Hodgson underlines the distributional effects and power asymmetries that law creates or is itself influenced by. Here, it would be much better for the reader to gain familiarity with Hodgson’s reflections on the origins of legal systems. Although Hodgson has valid reason to argue that we should question as to who sets the rules and whose interests and preferences are taken into consideration as the legal system evolves, we are left with more questions than answers in this regard. 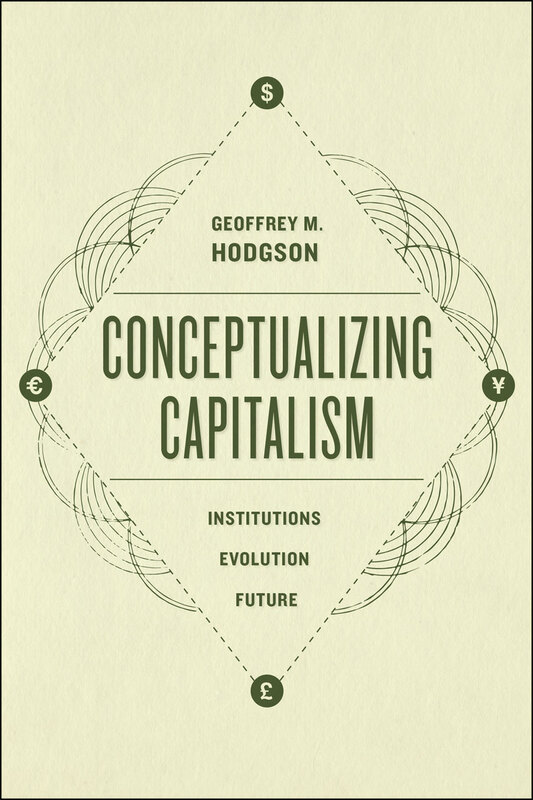 Hodgson provides a nuanced approach to capitalism as a particular economic system that is neither exploitational per se nor a universal solution to every problem insofar as the correctible power of markets and private ownership are considered. He rightly points out that the concept of capitalism has been so extended that we now have notions of capitals besides capital in terms of money and physical assets. Hodgson also concentrates on today’s major social, economic and political challenge: namely, inequality. For him, markets (i.e. capitalism) do not produce inequalities per se; rather, inequality is the result of capital and what he calls differential collaterasability. It is worth discussing the notion of differential collateralisability. While the rising level of inequalities is a well-known phenomenon, Hodgson provides another approach to make sense of inequality and how to address it. Rather than conceive of the market system as exploitational on its own, the ability to make use of collateral is what constitutes the difference between the capital owner and the labourer. Whilst capital owners can enjoy the benefit of returns from capital without their presence in the workplace, the labourer cannot be separated from the work itself. As it is easier for the capital owner to enjoy those benefits, they can also search for additional areas to invest in and make use of more capital by using their assets as collateral to obtain credit. As the labourer cannot detach themselves from the workplace, this reduces the time to search for other sources of income. In addition to this inability to separate the labourer from the work itself, because of the prohibition on slavery the labourer cannot present future earnings of physical or intellectual work as collateral. Hodgson assumes that the labourer does not own any other private property, except property to individuals’ own labour. Here, we should note that the problem of inequality presumably hits the poorest segment of each society harder than others given the condition of no ownership of capital that could be alienated to make use of that collateral. 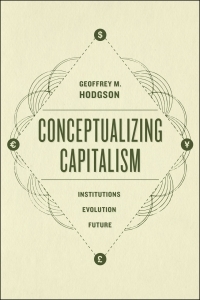 To address such concerns, Hodgson offers policies to fight the contemporary challenges capitalism is facing (i.e. dynamism and the distribution of benefits), and briefly discusses the role of the welfare state, employee-ownership schemes and worker cooperatives. The themes and concepts on which we have reflected here are only the tip of the iceberg. The book is very rich in analysis of what capital(ism) is. What Hodgson does not elaborate upon much are the political economy aspects of legal institutionalism. An understanding of the evolution of legal systems from political economy approaches is needed because the distributional effects and the power of the law on the economy and individuals cannot be well addressed if there is a lack of knowledge as to whose interests and preferences are more influential in the evolution of legal systems. Mehmet Kerem Coban is a PhD Candidate and Deputy Editor-in-Chief of the Asian Journal of Public Affairs at the Lee Kuan Yew School of Public Policy, National University of Singapore. His PhD thesis focuses on the political economy of financial regulation in emerging markets. He obtained his Master’s Degree in Development Studies at the Graduate Institute of International and Development Studies, Geneva. His main research interests are international political economy, the political economy of development, financial liberalisation and regulation and development aid. Email: m.keremcoban[at]u.nus.edu.